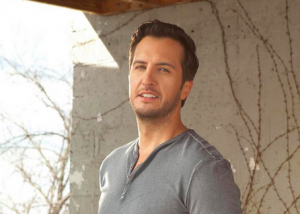 There is a new #1 this week for the first time since July as Luke Bryan finds himself in a familiar position with his latest single “Roller Coaster”, knocking Dierks Bentley’s “Drunk On A Plane” out of the top spot after seven weeks. Sitting at #2 is Kenny Chesney’s “American Kids”, followed by Lady Antebellum’s “Bartender”, Florida Georgia Line’s “Dirt” and Jason Aldean’s “Burning It Down” to round out the top five. The lone debut to enter the countdown this week comes from Garth Brooks, who lands at #24 with “People Loving People”, the first single off his highly anticipated new album, due out later this fall.